Analyst house Gartner, Inc. recently released their annual Magic Quadrant for Public Cloud Infrastructure Managed Service Providers. Gartner recognizes the importance of managed service providers (MSP) for public clouds. 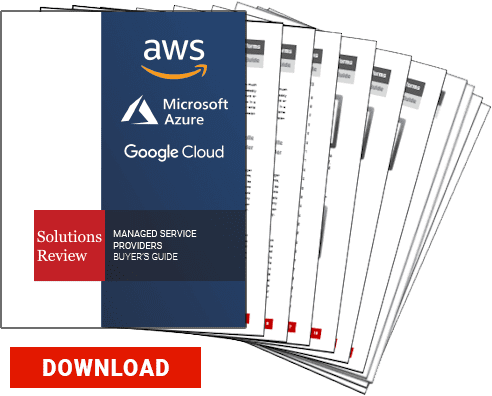 AWS, Azure, and Google Cloud are dominating the cloud field, but managing these clouds is difficult without the help of a managed service provider. The report is vendor agnostic and Gartner does not endorse any vendor, product, or service in its publication. In this report, Gartner evaluates the strengths and weakness of 20 managed service providers. The Magic Quadrant graphic plots the vendors based on the completeness of their vision and ability to execute. From here, the vendors can end up in four different categories: Niche Players, Visionaries, Challengers, and Leaders. The 20 MSPs selected for this year’s report are: 2nd Watch, Accenture, AllCloud, BESPIN GLOBAL, Capgemini, Cloudnexa, Cloudreach, Cognizant, DXC Technology, Deloitte, HCL Technologies, Infosys, Logicworks, Nordcloud, Onica, Rackspace, REAN Cloud, Smartronix, Tata Consultancy Services, and Wipro. This Magic Quadrant is very complex in its market definition. In the context of this Magic Quadrant, Gartner has defined a public cloud infrastructure MSP as a vendor that offers managed services and professional services related to infrastructure and platform operations. This can be for one or more hyperscale IaaS or PaaS providers. The MSPs also need to have the ability to deliver cloud-optimized solutions. Hyperscale integrated IaaS and PaaS providers don’t always have the tools for an average enterprise to utilize them on their own. They require expertise. Most enterprises need an MSP to get the most out of their hyperscale cloud platform/infrastructure. Gartner sees MSPs as a vital part of cloud success for a growing number of businesses. Last year’s Magic Quadrant was primarily divided between Leaders and Niche players. Only Melbourne IT was listed as a challenger last year and there were no visionaries at all, which is unusual for Gartner. This year is completely different despite both consisting of 20 MSPs. This year’s quadrant only consists of 3 leaders, versus 7 last year. The Leaders section contains the vendors that Gartner believes have a track record of successful delivery of high-quality managed services that utilize the capabilities of the cloud platform. It’s notable that this year has lost over half of its Leaders section. Only Accenture, Rackspace, and Cloudreach remain. The Challengers section consists of vendors that have a strong track record but might not be able to evolve quickly enough to expand beyond their primary geography or use-case focus. This year consists of six vendors versus only one last year. Three leaders last year fell into this category. These three are 2nd Watch, Logicworks, and Smartronix. The remaining three are DXC Technology, Infosys, and Onica. Both DXC Technology and Onica are new to the quadrant this year. Gartner sees Visionaries as vendors who are well positioned for the future. However, they don’t currently have a strong track record of success over a multiyear period. The quadrant was empty last year. This year they have included Capgemini, Cognizant, Deloitte, HCL Technologies, Tata Consultancy Services, Wipro. The final category, which is much less crowded than last year, is the Niche Players. Gartner defines niche players are vendors who are not well-positioned to achieve broad success in the near future. Some of the members in this quadrant are excellent and have a great track record but are regionally focused. Some of the listed providers are new to the market or this market isn’t a core offering. The vendors listed here are AllCloud, BESPIN GLOBAL, Cloudnexa, Nordcloud, and REAN Cloud.